YoYoRecreation is just killing it with the player videos lately…here’s Tatsuya Fujisaka gliding through some beautiful (and really hard) tricks. 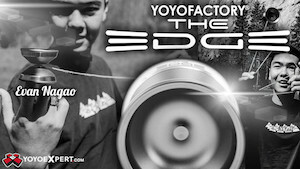 Yoyo used is the YoYoRecreation Dazzler. Kento Muraoka gives us the what what in this new video from YoYoRecreation. Crazy good yoyo tricks and some nice kendama moves, too! 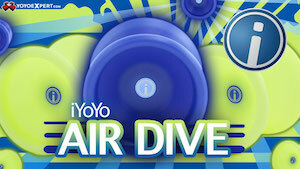 Yoyo used is the YoYoRecreation Triad. We’ve got a last-minute update for competitors and attendees of the World YoYo Contest…please read this message from the organizers below! If you’re in Prague on Wednesday make sure you attend our Pre-Registration Event. You will be able to purchase entrance tickets and register for the contest. By doing so you can enter the venue on Thursday morning without any queuing or problems. We highly recommend you pre-register. ALL competitors must sign-in at the registration table. Even if you registered online. Your music will be checked and you’ll receive a starter package. Categories 2A, 3A, 4A, 5A and Women’s division have just PRELIM (1 minute) and FINAL round. No Semi-Finals. Your music has to be uploaded before the deadline. If you submit your music at the registration there’ll be a 50$ fine. No exceptions! If you still end up bringing your music to the venue, make sure it’s on a USB drive (not a phone!!) and in mp3 format. 1A Wildcard round has no line-up. You have to be ready for your performance and enter the evaluation area at any time. For those who are arriving at the venue on Thursday morning: two booths (and lines) are going to be available. One for competitors, one for spectators who do not need to register. Please make sure you are in the correct line. If you have any questions or concerns, or if you’re just not sure about something – just email us at wyyc@cya.cz and we’ll help you! It’s always better to deal with a situation before it’s too late as it might complicate things on site. We also kindly ask all players to stay calm and go with the flow and schedule of the event. If there’s a queue or a line, it’ll disappear sooner or later, just stay cool 🙂 Our team is going to wear recognizable CREW t-shirts and every one of these people will be happy to assist you whenever you need something.